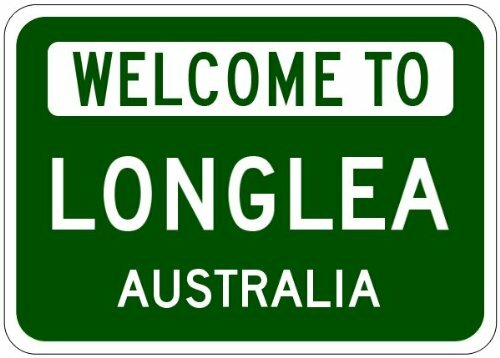 LONGLEA, AUSTRALIA – Australian Welcome to Aluminum City Sign 10 x 14 Inches, A BRAND NEW SIGN!! Aussie Welcome to City Sign, made of aluminum and high quality lettering and graphics. Made to last for years outdoors and the sign makes an excellent decor piece for indoors. Comes with two holes pre-punched for easy installation, corners are rounded. Made in the USA. Great for you basement, garage, den, office, man cave and it makes the perfect gift for any occasion. These signs are great for sending a piece of somewhere special to someone special.